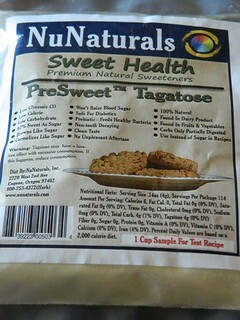 Making it Healthier to Enjoy Sweets with NuNaturals PLUS A GIVEAWAY! Sweets are by far one of my biggest weaknesses in life. I have tried to just remove them but let's all face it, what fun would life be without a sweet treat every now and again?? When I got the opportunity to review a company called NuNaturals I was pretty excited and when my box of goodies arrived you could say I was through the moon! There was so many amazing products and I have had a great time creating with them that it may be easiest to make this a picture review! I will tell you all my thoughts and uses at the bottom of each picture. Clicking on each caption below the picture will take you to more information on the product and where you can purchase it! 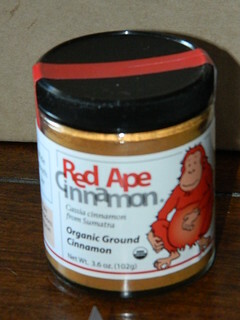 GREAT in my banana bread instead of sugar! we use it on our french toast! The review is not even close to over! I am having so much fun creating recipes there will be more to come. 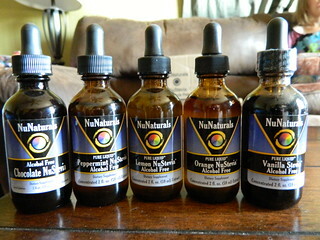 NuNaturals is a great substitute and wonderful for diabetics. With no pesky sugar spikes and fewer calories it is a win win! I have not yet used this one but stay tuned for tin can ice cream! These are a great substitute in any beverage you may want sweet. Here in West Texas of course it is our TEA! I find this is better for hot beverages. NEED A COOL DOWN CHECK OUT MY SANGRIA MILKSHAKE! 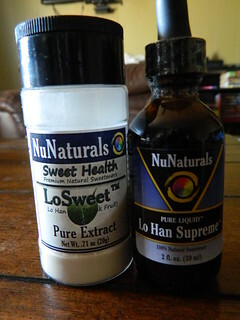 If you love these products you can also receive DISCOUNTS on all orders placed on our website : www.nunaturals.com . If you would like to purchase something you see now at the checkout page enter the DISCOUNT CODE ; BLG0613 and receive - 15% DISCOUNT on their ENTIRE ORDER. This discount remains EFFECTIVE UNTIL JUNE 30, 2013 . Online ordering customers may also receive FREE SHIPPING to the CONTINENTAL U. S. on all orders exceeding $ 35.00 after discounts. 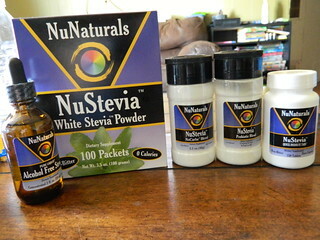 The markers of NuNaturals have been great to allow me to do a giveaway ( 4 ) four of my readers will receive ( 1 ) one bottle of each of the Lemon / Orange / Peppermint Flavored Stevia Liquids, PLUS their NEW CHOCOLATE STEVIA LIQUID. Sounds delicious! 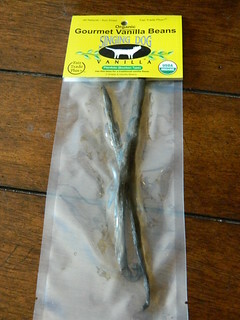 I love sweets as well, and the vanilla beans sound very cool! I've tried these and I love the chocolate! Great stuff!! The chocolate sounds very intriguing!! As well as the orange. Wow! They all sound so good! If I HAVE to choose, I would say the peppermint! I love their products so would be good for anything. I have these and I love the chocolate! The chocolate! I would LOVE to try it!!! I'm excited about the Lemon- I bet it would be great in tea (iced or hot)!